Week two of the trip was spent going from Bangkok to Phnom Penh overland, where we moved places at least every two days, exhausting. I wish we had spent more time in Bangkok. It is such a vibrant city but one that needs time to digest the sights, sounds and smells of. It also takes time to get over the irritations of the city, time that we did not have. Of all the cities I've been to in SE Asia, Bangkok was the one where I felt locals were trying to scam us the most. Not in a mean-spirited or dangerous kind of way, just in a matter-of-fact-this-is-how-it-is way. We stayed in a nicer hotel this time a bit outside of the city center in an area that seems to have a heavy Chinese influence. There is a foodie street market right outside and many places were selling Chinese style soups and BBQs. No complaints here. The first night we were introduced to a version of popiah by a friendly Thai/Chinese older couple. This popiah had similar fillings including the stewed radish and crunchy peanuts, the rolls were thicker and slathered in dark oyster sauce. Pretty tasty, and as the old man reminded me me..."it's good for the ladies (because it's healthy)". Meanwhile his wife glares at him thinking "damn it, he makes me eat this every day". The only thing I have to say about the sights in Bangkok is that the Grand Palace is not worth it. It's beautiful inside but the entrance fee is pretty steep and it is so. bloody. crowded. I spent more time looking at tour groups behaving obnoxiously than I did at the palace itself. All around me were scenes like this...leading me to curse digital cameras and wondering what in the world they do with all their photos. The temple Wat Pho next the palace is much nicer and contains the world's largest reclining Buddha, along with hundreds of other impressive Buddha images and stupas. On Christmas Day, we treated ourselves to a nice dinner at Issaya Siamese Club, a bit far out from city center (it took 2 hours to get there due to the crazy Bangkok traffic) but very worth it. Since the restaurant is tucked away in a residential neighborhood, it's inherently quiet and made more peaceful by the interior setting. The cocktails, while expensive for Asia, were tasty and the food was delicious. From Bangkok we entered Cambodia via land from the Aranyapharat - Poipet border. Having read about this crazy border town, we were sort of expecting chaos and misery, but it wasn't all that bad, especially as the bus took us directly to the border without stopping to negotiate a tuk-tuk. With e-visas in hand, the entire process took just under and hour. We spent one night in Matt's brother's host family's village called Bontros in Phnom Thom, where we enjoyed a local Cambodian BBQ. This was the second time we have had this, the first time was also with locals in Phnom Penh. I also haven't seen this BBQ on many restaurant menus and therefore can only conclude it's a local thing to eat. We now understand why it's so local, after having it the second time (aka. one is us got violently ill from it). Nevertheless, it was delicious. Basically, lard and meat go on top of the grill, broth and veggies go around the sides. 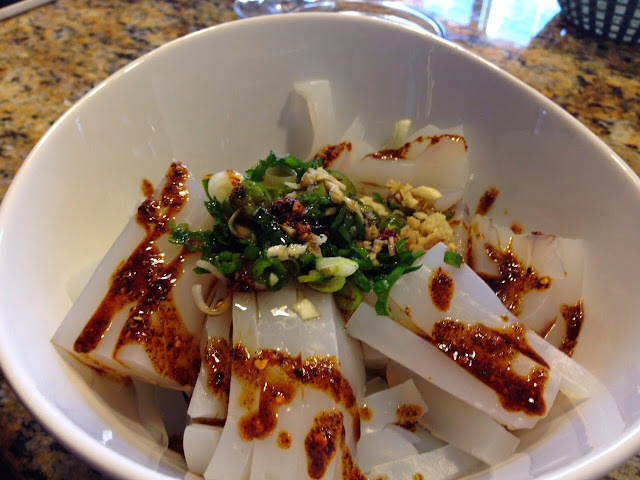 Rice noodles are also served on the side with a mild curry soup. This is all a perfectly orchestrated recipe for food poisoning. This was my second time in Cambodia and Matt's fourth. We were passed the phase of needing to see things and mainly focused on enjoying the day to day. Battambang is a pretty big city that contains similar French charms of Phnom Penh, but with fewer people and cheaper prices. We had a few good western meals and a yummy breakfast noodle soup called kew teav at the local market. One of the coolest things I've ever seen was right outside Battambang at the bat caves. In the evenings around dusk, bats fly out together like clockwork. It's estimated that there are 3 million bats flying out at the same time, crazy! From the distance it looks like waves of black smoke. Phnom Penh has become one of my favorite Asia cities, it contains the best of many things about Asia: pretty temples, a lively riverfront, not too many touts, good food and affordable prices. We went to a speakeasy bar called Bar Sito on 240th street for cocktails one night. Cocktails are $5 regularly and cheaper during happy hour, and this Bloody Mary is the best I have ever had, anywhere. Down the street from Bar Sita is a small Cambodian restaurant called Fritz that is really good. I especially loved the crepe filled with minced pork and beansprouts, which I chowed down too quickly to snap a photo of. Their Cambodian spring rolls were also delicious. Another night we visited the popular Friends restaurant which was pretty good, though expectedly pricier because profits support local youth training programs. At least I hope they really do. The meatballs with pandan noodles and fish amok were both excellent. We also had a smokey creamy eggplant dip that was tasty though a little bland. Before going into Laos I have to rave about the best flight I ever taken, which was on Vietnam Airlines. The flight from Phnom Penh to Vientiane was an hour and 15 minutes long, the plane was really comfortable AND they served food! AND the food was GOOD! Here's a picture, because after all, this is a food blog. Anyways, Laos next!